Crystal received a Masters of Social Work from Appalachian State University and a post graduate Certificate in Maternal and Child Health Leadership from the UNC Gillings School of Public Health. She has worked in the public and nonprofit sectors in the high country for the past 17+ years as a social worker, advocate, administrator, and clinical therapist. She is a also a doula and has taught childbirth and newborn behavior classes for new parents. Crystal joined the Children's Council in 2009 and established the Teen Parenting Program with a grant from the North Carolina Department of Public Instruction. Crystal has served as Executive Director of the Children's Council since 2012. 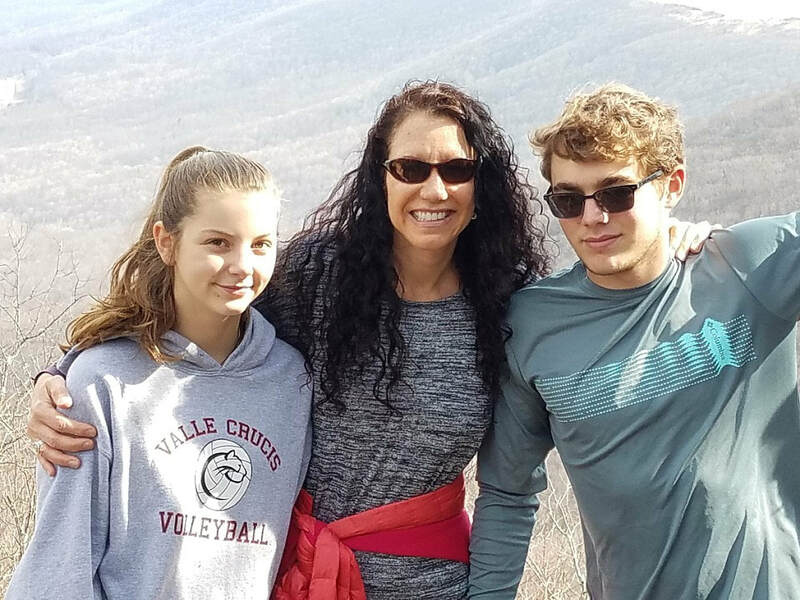 Under her leadership, the Children's Council has grown in scope to serve as the resource hub for children and families in Watauga County. Crystal has a strong commitment to building protective factors and strengthening community conditions for children and families to thrive. She is a Graduate faculty member in the Social Work Department at Appalachian State University and teaches community organization and interagency collaboration classes. Crystal is an avid advocate for maternal child health programs that focus on supportive, relationship based modalities. She was recently selected as a Pritzker Fellow for the National Collaborative for Infants and Toddlers with a specific focus of strengthening local investments for the Prenatal to three population in Watauga County. She loves spending time with her family, traveling, exploring the outdoors, and trying new recipes. Mary has worked with the Children’s Council for five years and has served in various roles, but more recently as the Associate Director and for the last six months as the Interim Executive Director. Her educational background is in Early Child Development and she holds a graduate certificate in Nonprofit Management from Duke University. She has worked in the early childhood field since 1995 as a preschool lead teacher, nanny, and as an Assessor and then the Regional Coordinator for the NC Rated License Assessment Project where she worked to improve the quality of care in preschools throughout Western North Carolina. She has extensive experience with non-profits as a former board member of Blue Ridge Women in Agriculture and as the founder, Executive Director, and later a board member of High Country Local First. Outside of work, she enjoys running, hiking, camping, reading, dancing, traveling, yoga, gardening, cooking and spending time with her family. Amy began as Finance Manager for The Children's Council of Watauga County in October 2016. Before coming to The Children's Council, she was the Business Manager for Appalachian State Athletics. Prior to that, she worked in state government as an auditor, accountant and probation officer. Amy attended UNC-Chapel Hill where she received her criminal justice degree. She also attended UNC-Greensboro where she received her accounting degree. Amy has two sons, Andrew and Thaxton. She loves spending time with her family and four dogs, preferably outside. Jeannie graduated with an Associate’s Degree in General Office Administration and Medical Office Administration. Jeannie started with the agency in October 2011 as a work study student while attending Caldwell Community College. She is now a fulI-time employee with our agency since fall of 2014. Jeannie has had several years’ experience in customer service and office administration. Jeannie is also a Notary Public. She has always loved helping people of all ages, but especially children. Her hobbies are walking, swimming, gardening, reading, and spending time with her husband and their 6 children and grandchildren, family, friends, and their church. Her goal in life is to help improve all the lives of whom she touches in a positive way. Hunter received a Bachelor’s degree in Psychology with a concentration in Special Education, Birth through Kindergarten License and Masters in Child Development: Birth through Kindergarten from Appalachian State University. She is currently working towards gaining a Certificate in Early Education Leadership from Harvard Graduate School. She has worked in the field of early childhood since 1998. She has been a director of a child development center, a public school pre-kindergarten and kindergarten teacher, early literacy coordinator, and teaches early childhood education courses at Appalachian State University. She works with Watauga County’s early childhood educators through our Pathways To Accreditation Program. Hunter also is the NC Pre-K Coordinator for Watauga County. Hunter loves living in the mountains with her husband Christopher and sons Major & Rocco! Roberta Yates landed in Boone in 1989 for graduate school,and fell in love with the area. She met her husband, David, and moved away for several years. They came back to the high country to enjoy a slower pace and start a family. Roberta has a son, 18, and a daughter, 14, who both attend Watauga High School. She joins The Children Council after serving foster and adoptive families at Watauga County Department of Social Services for 20 + years. Roberta has worked with children in a variety of settings, including as a nanny, therapist, social worker, and parent. She earned her undergraduate degree in Child Development and her Masters in Counseling from Appalachian State University. Roberta is excited to be serving children and families of Watauga County in a totally new capacity. She is passionate about the importance of quality child care for everyone. Roberta loves the outdoors, sunshine, reading, and laughing. Roberta and her family live in Valle Crucis with their 3 dogs. ​Robin’s educational background is in Social work and Early Childhood. She has been an educator for 22 years and has taught many types of educational classes and support groups. Her passion is working with young parents and interacting with families in our community. Robin is the coordinator for our teen parenting program and conducts home visits, facilitates group meetings, and provides support and encouragement to assist them in continuing their education. She enjoys being creative and spending time with her family. Georgia is a recent graduate from Appalachian State University, where she received a degree in Child Development: Birth-Kindergarten. She was born and raised in Salisbury, NC where her family lives and where she visits often. Georgia has always had a deep passion for early childhood education along with being an advocate for children and families. She has worked with children for many years now in various settings. Some of which include an in-home childcare center in Watauga County, Lucy Brock Laboratory Program, a church preschool and public schools. After taking child development classes at ASU, Georgia became very interested in helping teen parents and their children grow as a family. After spending her day with children and families, Georgia likes to spend her free time baking, watching the Carolina Panthers, dancing and enjoying Boone. Shawna received her undergraduate degree in Community Health Education from Texas A&M University. Her journey then led her to Outer Mongolia where she taught English in a local university for three years while also earning her Masters degree in Intercultural Studies from Wheaton College. After her time in Asia she taught middle school science and coached cross country until transitioning to being a full-time stay at home mom for several years. Living in TX, MI and now NC, she has been the director of women's mentoring and training at her local church. She is a teacher, speaker and writer and is passionate about relationships in community and the importance of linking arms together. She also loves serving alongside her husband, Greg, in an organization supporting combat wounded veterans and their spouses. Shawna is a strong advocate for adoption and foster care. 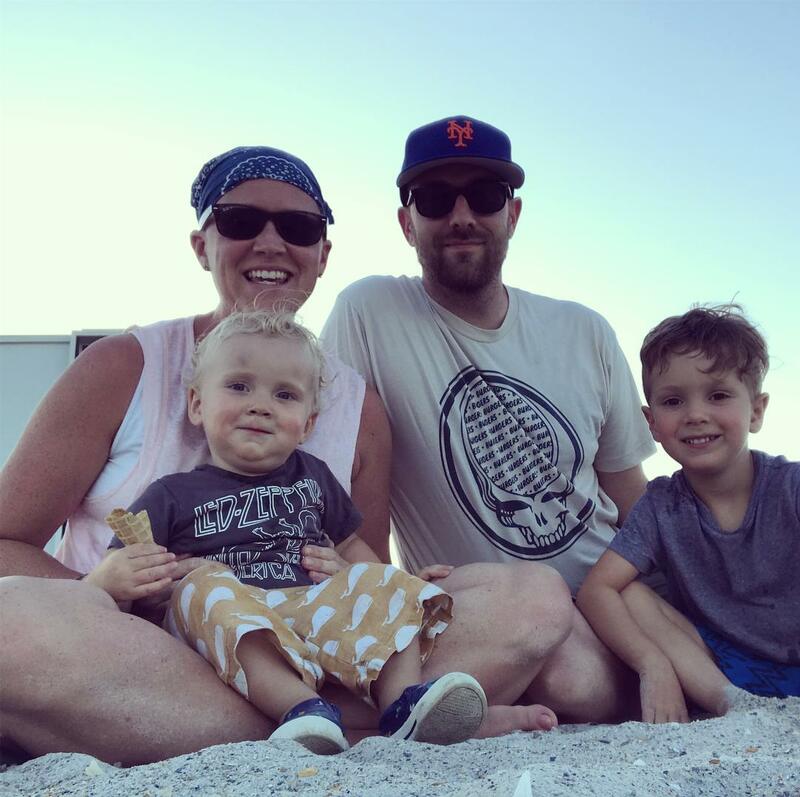 She loves to trail run, read, write, collaborate with a team, eat sushi and hang out with her growing-way-too-fast kids, Micah, Savannah and Caleb. Jennifer graduated from Appalachian State University in 2007 and just couldn’t leave the High Country. She’s a homeschooling mom of 3 and active in several volunteer positions in the community and throughout North Carolina. She’s been the parent-leader at Circle of Parents yoga for 2 years and works from home part time creating social media programs for small businesses. She’s also a persistent advocate for the arts and is on the board of a few blacksmithing-related non-profits. Jennifer spends most of her time running around with, and after, her daughters while enjoying hiking, gardening, yoga, and teaching. Sophie recently graduated from Appalachian State University with a degree in Child Development: Birth-Kindergarten as well as a minor in Spanish. She is the lead teacher of the D.U.A.L. School ( the Children's Council new bilingual preschool program.) Sophie has a passion for early childhood education as well as community outreach and support. In her free time, Sophie loves to travel as well as practice her Spanish! Mathew moved to Boone in 2016 from Shelby, NC, where he graduated from Crest High School. He recently graduated from Caldwell Community College with an Associates and now attends Appalachian State University where he is pursuing a Bachelor of Science in Business Administration. Mathew's major is Business Management, and he intends to pursue a career in management or business administration. He began working at the Children's Council in 2016 as a work study student. Mathew currently works part-time as a Resource Specialist Assistant and as a Childcare Assistant for our family programs and parenting classes. He is also a Travel Agent for Magic Bound Travel in Boone. Mathew's hobbies are sports, such as basketball and soccer and watching the Dallas Cowboys play football. He also enjoys spending time with his fiancé, two dogs, his friends, and his mentee from the Western Youth Network. Stephanie moved to Boone in 2007 after she fell in love with the high country on a visit with family. A year later she met a boy, and five years later she married him. They welcomed their baby girl in June 2015 and their baby boy in November 2017. Stephanie has a Bachelors in Psychology and is now working towards her Masters in Marriage and Family Therapy. In her free time (which is sparse these days), she enjoys painting, attending concerts and spending time with her friends and family, including her fur babies (two dogs, two cats and five miniature goats). Stephanie was previously on the Board of Directors for The Children’s Council and volunteered for their Fund Development Committee. She has 10+ years of administrative experience as well as recent experience in early intervention. Renee recently graduated from Appalachian State University receiving a Bachelor of Science in Psychology with a concentration in Health Studies. She fell in love with the High Country the moment she started living here and has enjoyed making this lovely town her home. Renee has always had a passion and love for children and families. Currently she is studying to eventually attend school again to pursue a career in either midwifery or as a Montessori school teacher. When she is not working at the Children’s Council, she is either working as a part-time nanny, researching a variety of interests and passions, or spending free time doing one of her favorite hobbies which include anything outdoors such as hiking and kayaking as well as reading, music, writing or spending time with her friends and family. Lorrie has worked in the field of early childhood since 1982 as an early educator, program director, mentor, literacy program coordinator, and Technical Assistance and Professional Development Specialist. She obtained her bachelors degree in Birth-Kindergarten in 2006 and her masters degree in Early Childhood Education in 2012. She has served on the Board of Directors for the NC Association for the Education of Young Children and the NC Early Education Coalition. She was also appointed by the NC Legislature to serve on the NC Childcare Commission. Lorrie has a passion for improving the quality of care in early childhood programs across our state and is now serving as an Infant/Toddler TA Specialist to provide intensive technical assistance services to teachers serving children birth to two years of age. In her spare time, Lorrie enjoys spending time with her family (including 5 grandchildren), reading, photography, and traveling. Kayla graduated from East Tennessee State University in 2016 with a bachelor’s degree in early childhood education and a minor in family studies. She has worked with ages ranging from birth to seventh grade in different capacities since graduating high school. In her free time, she enjoys going to concerts, camping, kayaking, and spending time with family and friends.